Marcus & Martinus, Sammen om drømmen. Movie. I have again had the pleasure to assist composer Magnus Beite. 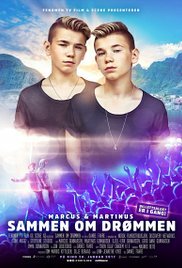 The movie Sammen om drømmen, features the young pop idols Marcus and Martinus. I've been composing 4 ekstra cues and worked on the midi programming.